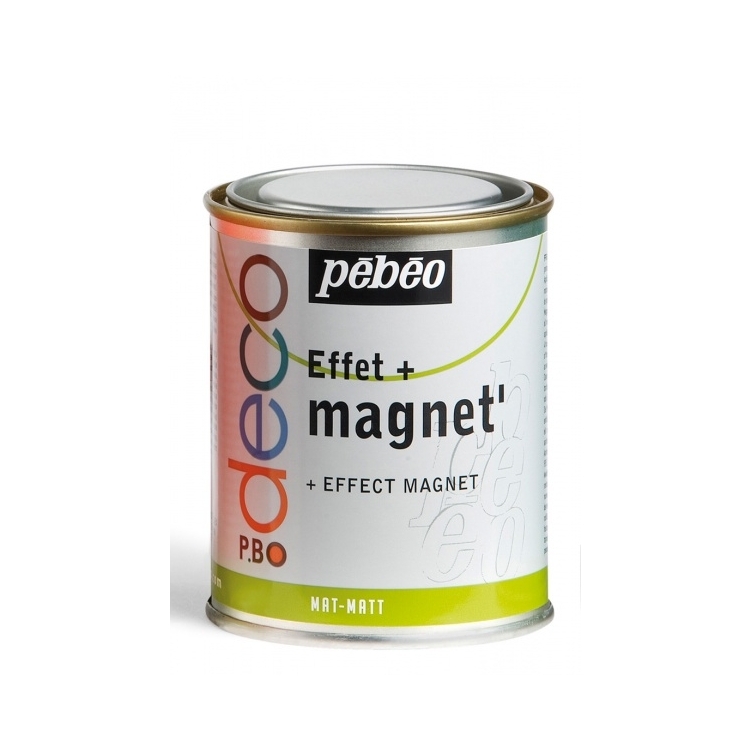 A magnetic base in 500ml metal cans to create magnetic coantings on all surfaces, objects and walls. QUALITY: Acrylic primer containing metallic particles. MIXABILITY OF COLOURS: Colours can be mixed together. FINISH: Matt gray, slightly irregular (due to metal particles contained in the paste). COVERAGE: 250 ml ≈ 0.75 m2 (2-3 layers) / 500ml ≈ 1.50 m2 (2-3 layers) APPLICATION TOOLS: Spalter brush, anti drip painting roll. CLEANING OF TOOLS: With soapy water. Acrylic primer containing metal particles, Magnetic colours may be applied to any smooth new or previously painted surface, dry and clean. Magnetic Effect creates a metallic surface for use with magnets to display photos, drawings or simply hold reminder notes . . . . Magnetic can be covered with cream of colour or any water-based mural paints. 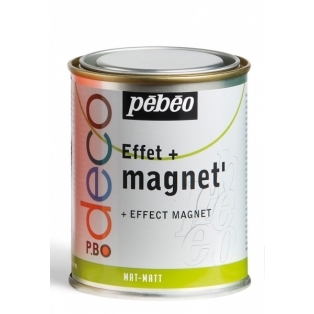 Magnetic can be used all over the house and is particularly ideal for children's rooms. Magnetic colours conform to the CE regulations concerning child safety. Stir thoroughly to homogenize the product. Apply 2-3 thick layers, 4 hours apart. After 24 hours of drying, it can be covered with a layer of any colour from the P.bo deco range. The force of attraction depends on the amount of paint applied and the quality and size of magnets used.